Women's Flare Jeans On Sale - Buy 1 Get 1 Free for New Members! Don't pass up women's flare jeans from JustFab when you're searching for super chic jeans that are comfortable and style effortlessly. Mix and match flared jeans easily with slingback platform sandals, pointed toe kitten heels, lace up faux suede ankle boots and stacked heel ankle boots. These designer denim jeans are inspired by bell bottom styles from the 1970s but will always be fashionable and fun to wear. Slip into flared women's jeans for outdoor music festivals, indoor arena rock or pop concerts, or wear these classic and cute women's jeans for open mic nights at your favorite coffeehouse. Our affordable flare cut jeans for women represent the top styles from the runways and streets of Milan, New York City, London and Paris, but our cheap designer alternatives are incredibly inexpensive. 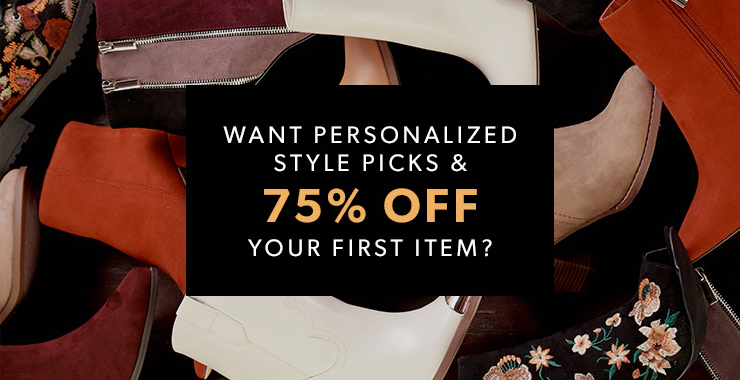 Look for new flared jeans and other cute women's fashion pants and clothing in your personalized online showroom, which puts the newest trends into sharp and shoppable focus. 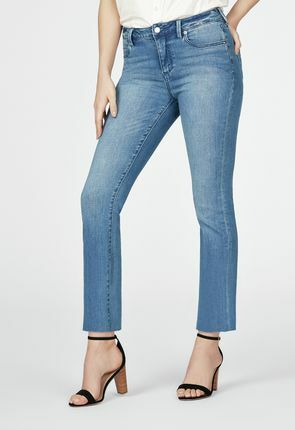 Flared designer women's jeans can feature sleek cuts that are slimmer around the hips and thighs and flow out into subtle flares below the knees. Our selections can also include over-the-top styles with wide flared legs and looser, roomier fits. Skinny flare jeans for women are a kick to wear and style. Mix and match flared jeans with flat sandals, pointed toe high heels, faux suede ankle boots or platform heels. Our flared jeans can include slim cuts with subtle flaring legs, or look for designer bell bottomed styles that really take off below the knees. 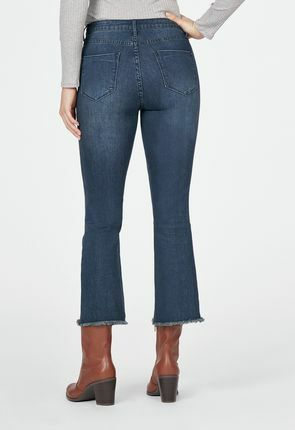 Fun and fabulous flare jeans from JustFab are a kick to wear, and although these women's denim wonders may be inspired by '70's fashion, flared jeans are always going to be in style. Our flared jeans fit like a dream and create a slimming silhouette. Flare cute denim jeans can be looser or more fitted at the thighs, and these top-of-the-line jeans for women are crafted from premium denim. Wear them with structured long sleeve or short sleeve tops or mix and match them with loose tees or oversize sweaters. Look for inexpensive flare cut jeans in classic dark blue, or consider lightly hued washed colors that pack an '80s punch. Our flared jeans for women can include white styles that can be paired with white V-neck tops for a sleek and totally modern monochromatic look. They can feature flattering shapes with a little extra flaring after the knee, or browse for styles that are skinny and tighter at the hips. Our flared women's jeans often flaunt trouser details at the waist and back pockets as well as other eye-catching design accents. With the cheap flare cut jeans for women found at JustFab, you can free your many different fashion personalities. Pair them with a fringed top or poncho, add an infinity scarf with tassels and celebrate your gypsy goddess. Mix them with a vintage rock band tee that's slightly cropped, throw on a faux leather jacket, slip into wedge heels and become a famous band manager for the night. Style flare women's jeans with a rhinestone-studded top and black platform heels for a retro-inspired glamazon queen. This cute style of denim is perfect for girls' nights out with your posse when you want to take the clubs by storm. Slip into a pair before you hit the downtown Saturday market or wear them for neighborhood art walks. Our designer denim jeans echo the hottest denim looks found in the fashion monthlies and on the top-clicked style blogs, but ours are much less expensive. Because our flared jeans are so affordable, you can grab all of the styles that catch your eye without draining your bank account.